The Denim Kilt With Silver Straps is a kilt that we made using the most durable material we’ve ever used in any of our previous kilts. 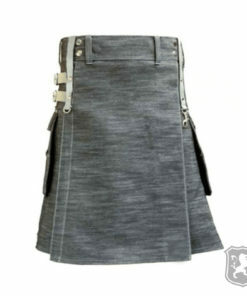 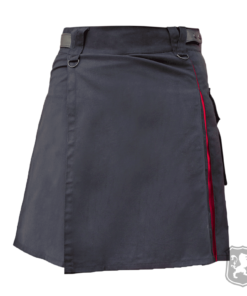 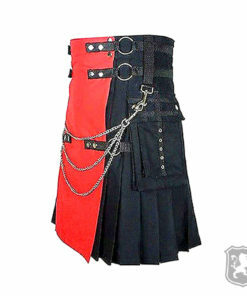 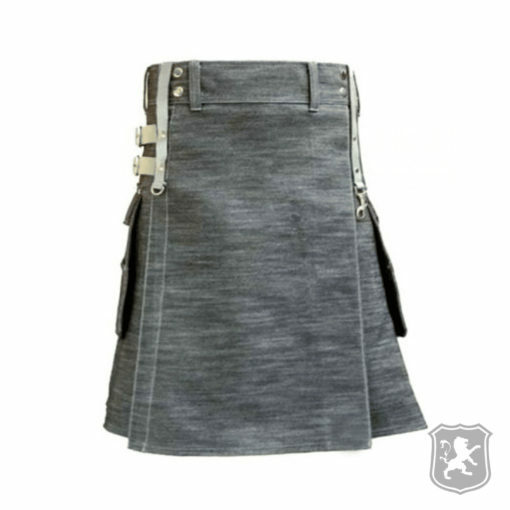 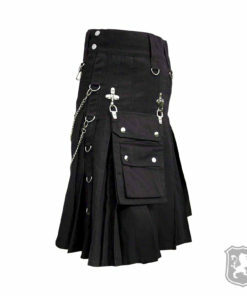 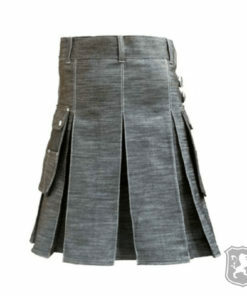 It is made out of denim fabric with two flap pockets on each side of the kilt. 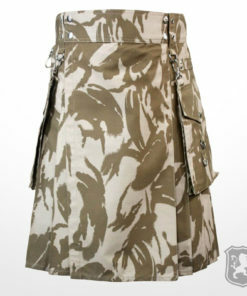 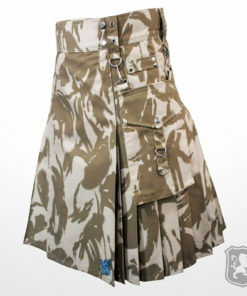 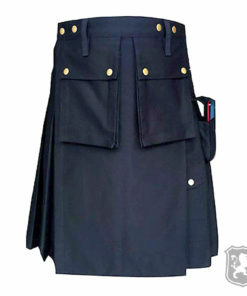 The apron on this kilt is detachable which means you can wear it with or without the apron. 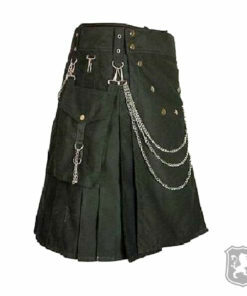 There are chrome buttons used on the belt area for decoration purposes. 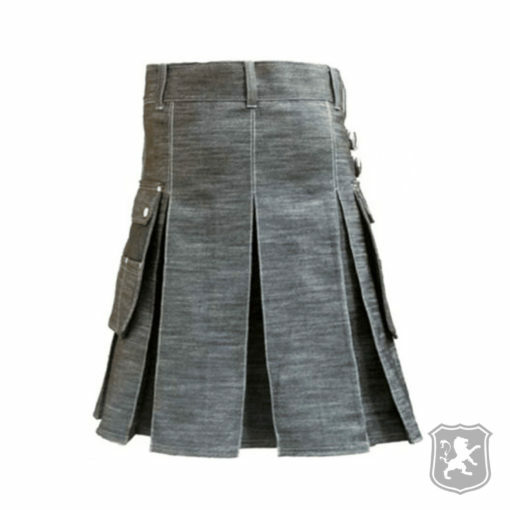 On the front side of the kilt you will see that it has a simple and plain apron and it also has decorative silver straps on both sides. 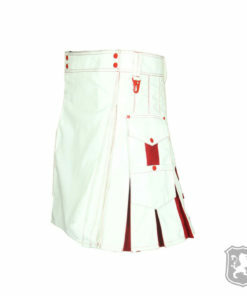 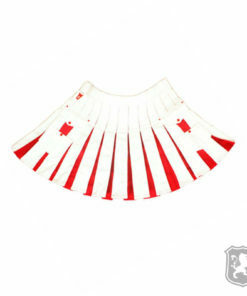 The apron is detachable which allows you to change or remove apron on this kilt. 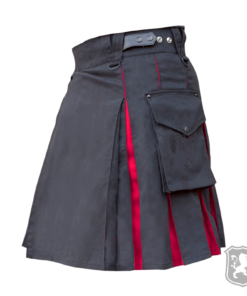 On the side, you will see that it has two flap pockets with two decorative buttons embedded on them. 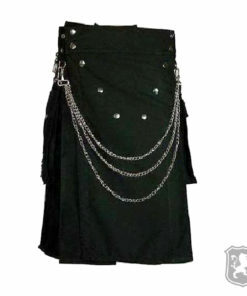 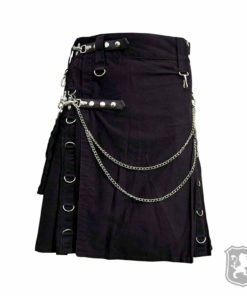 It also has two denim straps for better adjustment of the kilt. 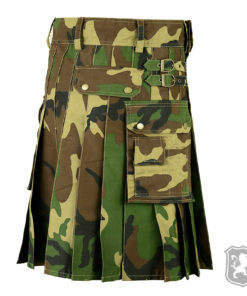 The pleats are sewn deep which makes this kilt comfortable to wear. 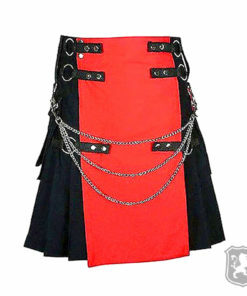 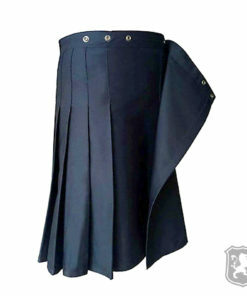 These pleats really increases the beauty of this kilt. 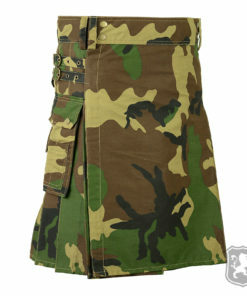 Heavey duty and great quality!